Eighty nights in a small hide in the middle of the Finnish taiga. Eighty nights waiting for bears. Season after season, wildlife photographer Stefano Unterthiner reveals his encounters with brown bears, but also with wolves and wolverines. A photographic story that takes us into the kingdom of the most fascinating and mysterious inhabitants of the boreal forests. 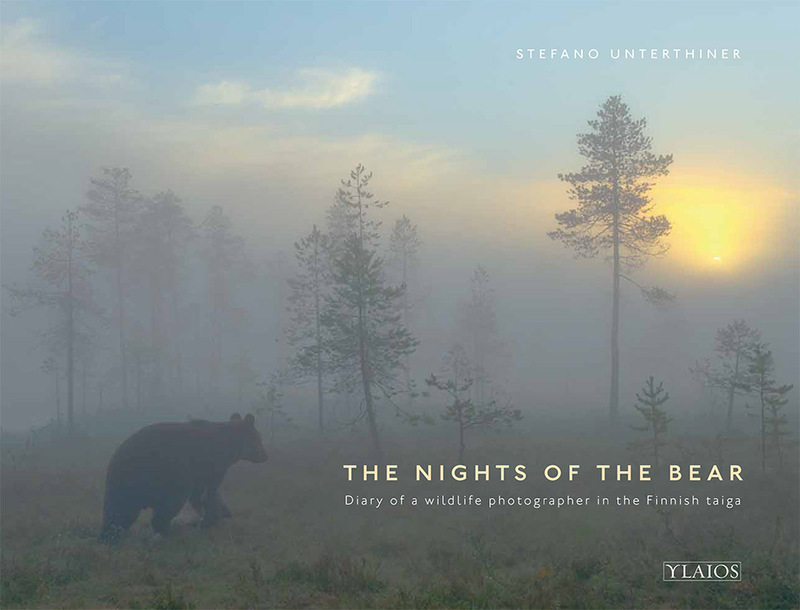 With part of the income from sales of the book The nights of the bears, Stefano Unterthiner and Ylaios will make a contribution to support the conservation of the European brown bears through a donation to IFAW, the International Fund for Animal Welfare. It is our choice to pay ‘royalties for the wildlife’. Who’s talking about the book? Alle falde del Kilimangiaro, Repubblica, Il Corriere, La Stampa, TG2. BUY your copy of The nights of the bear (in english), with DVD.